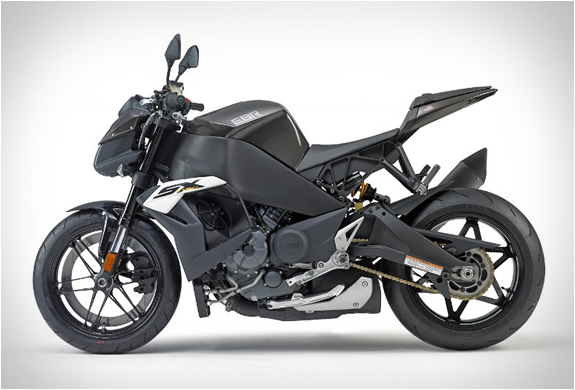 Erik Buell Racing have rolled out the new EBR 1190SX, a spectacular motorbike the company describes as "a true naked streetfighter-style sport bike”. The beast has the power and technology of a superbike, it is equipped with a powerful 185hp V-Twin engine and 100 pounds of torque. This is the highest-horsepower factory Streetfighter available on the market, and comes in a choice of Frost Bite White, Racing Red and Galactic Black color schemes.